IMG Korea, Chung’s agency, said the player is currently receiving treatment in South Korea and will miss the Rolex Paris Masters, which begins next Monday. 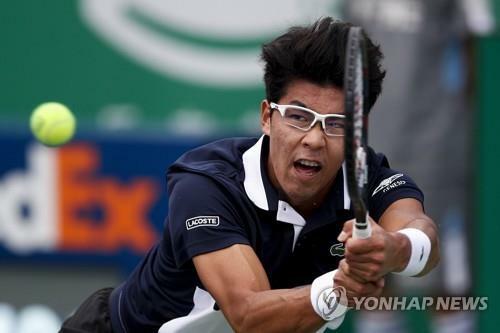 Chung has been hampered by blisters all season, and most recently, he had to bow out during the quarterfinals of the Intrum Stockholm Open last week because of those blisters. Chung enjoyed the best season of his career in 2018. He reached the semifinals at the Austarlian Open in January, becoming the first South Korean to go that deep at a Grand Slam event, and made it at least the quarterfinals at 10 of his 18 tournaments. In April, Chung climbed to a career-high 19th in the world rankings.